At mid-week, I hiked down to the stream restoration area at Mt. Pleasant. The day was a little warmer than many of our recent days and there was very little wind. I dressed for the weather and didn’t get chilled. There has been enough rain that the ox bow portion had water/ice in it. 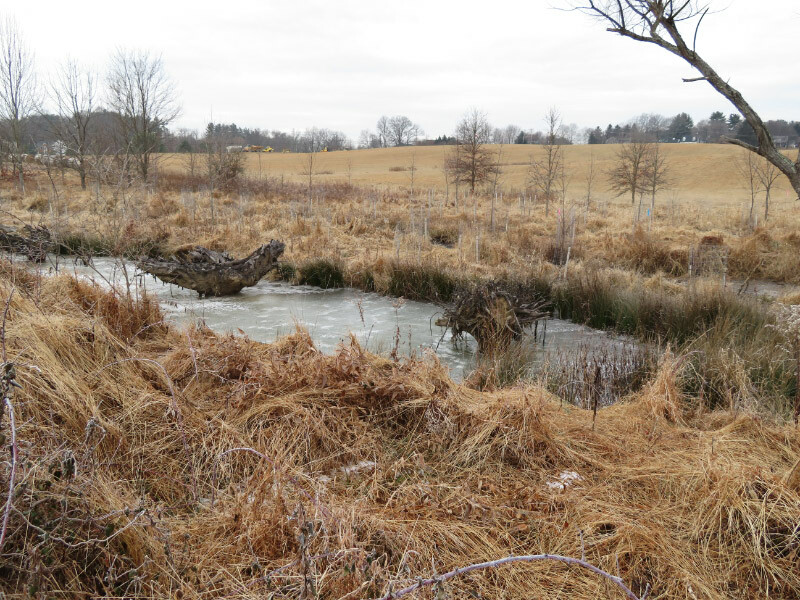 The trees that were extracted during the restoration and repositioned in the stream to upside to down as habitat were indicated how high the water has gotten since the restoration reconnected the stream with its flood plain. The stumps have not been completely covered but the water has gotten a few feet higher than it is now. Further along the stream a smaller stream – frozen – cascades over rocks. 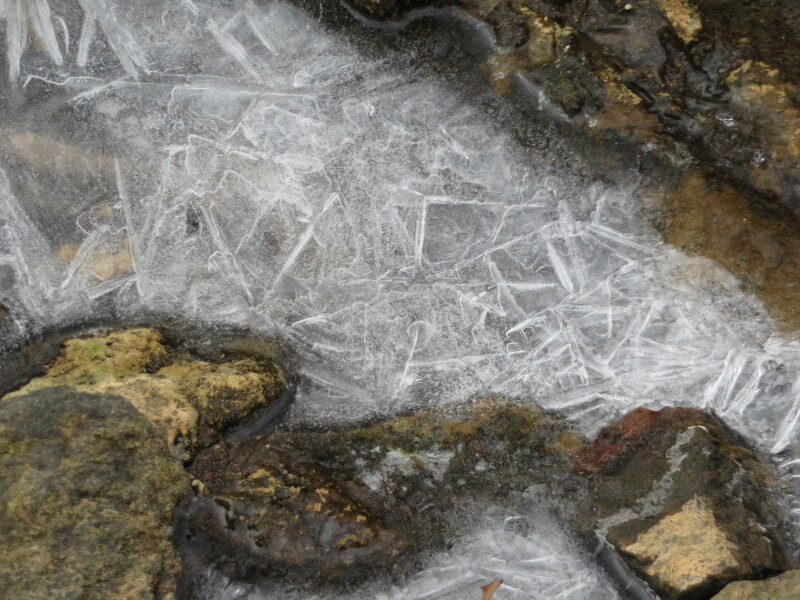 Some ice had broken free with the melting and turned over – showing frost crystals…bubbles…smooth contours. It looked like a chunk of clear glass. 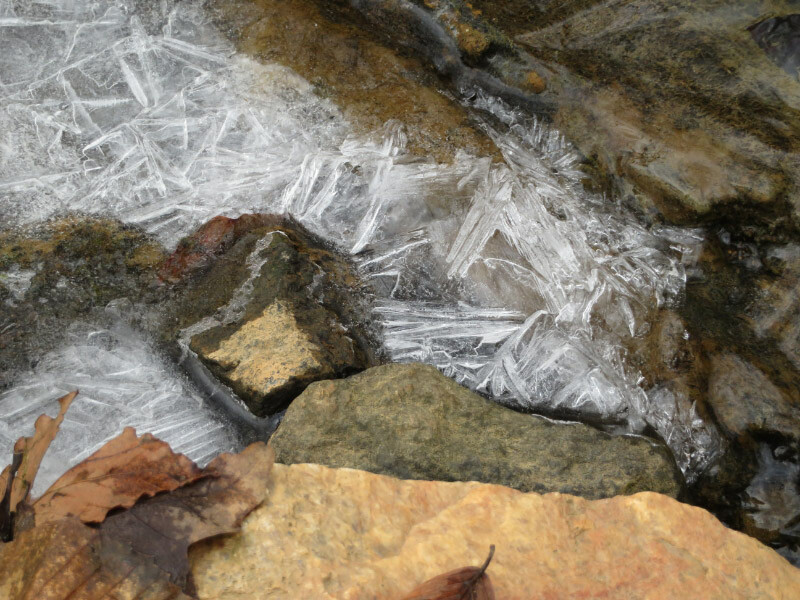 I liked the leaves held in place my ice on the flowing water; they added color. The water level had gone down since this ice froze. It was a shelf above the flowing water. 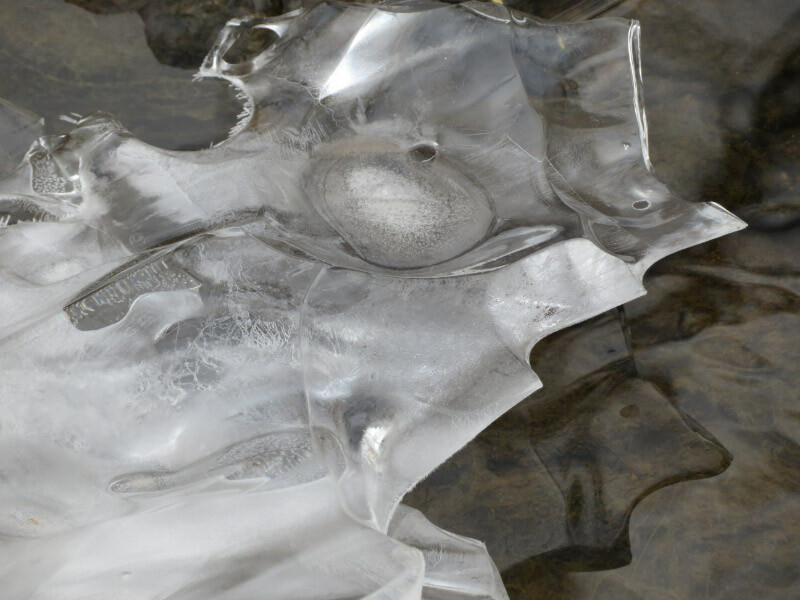 Based on the sediment on top of the ice, it is older and may have had sediment laden water flowing over it briefly. The beach area that used to be mostly small pebbles and sand, has had large rocks since the Ellicott City flood before the restoration project and then additional rocks were added during the restoration. It makes it harder to walk in the middle of the stream…but better habitat. 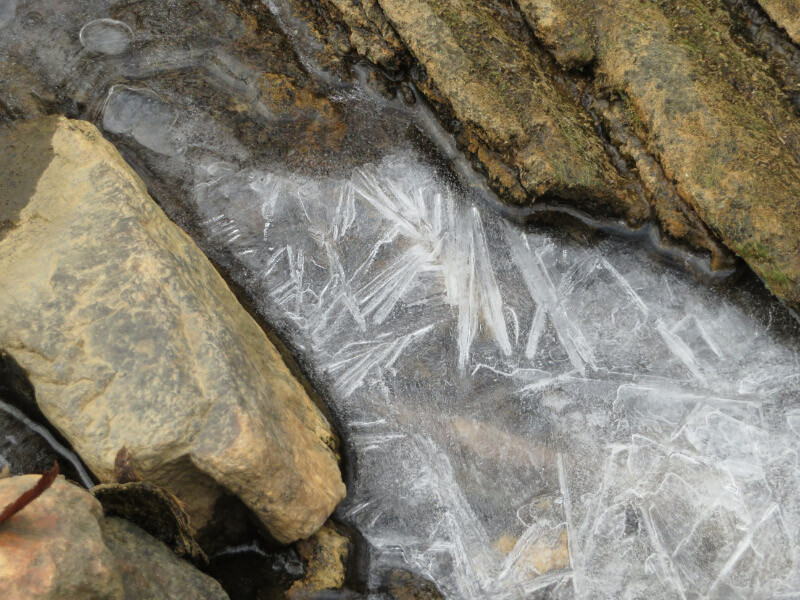 One area had conditions just right for forming crystals…a favorite photography target for me. As we started back up the hill, I noticed a battered lichen on some of the rocks. After all the clear ice, the bit of color caught my attention!